Will Smith and Jada Pinkett Smith have been confirmed for Oprah's May 25 finale show. Other guests remain a mystery, but many suspect show favorites John Travolta and Tom Cruise. 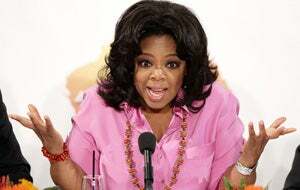 Will Oprah reveal that she's a secret Scientologist?